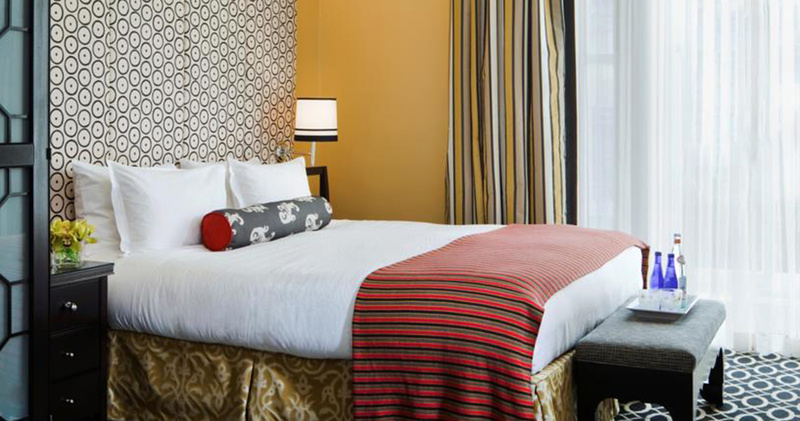 A luxury Kimpton property, the boutique Monaco Hotel epitomizes charm and elegance, with a lively atmosphere that is unparalleled in the nation’s capital. 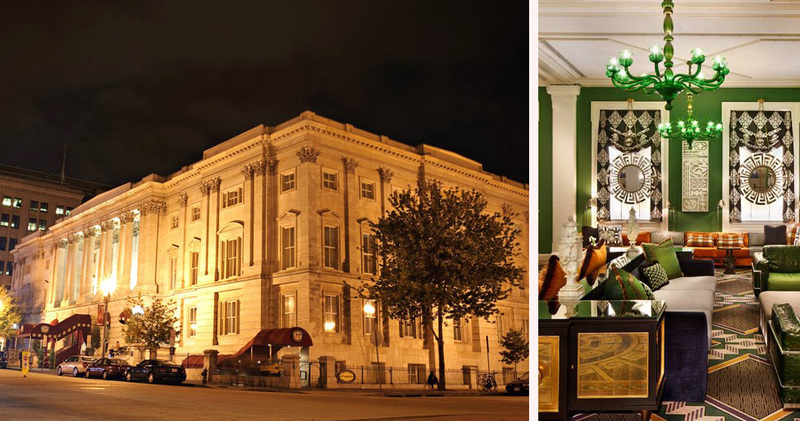 Conveniently located across the street from the Smithsonian National Portrait Gallery, the hotel is within easy walking distance of the National Mall, White House and International Spy Museum. 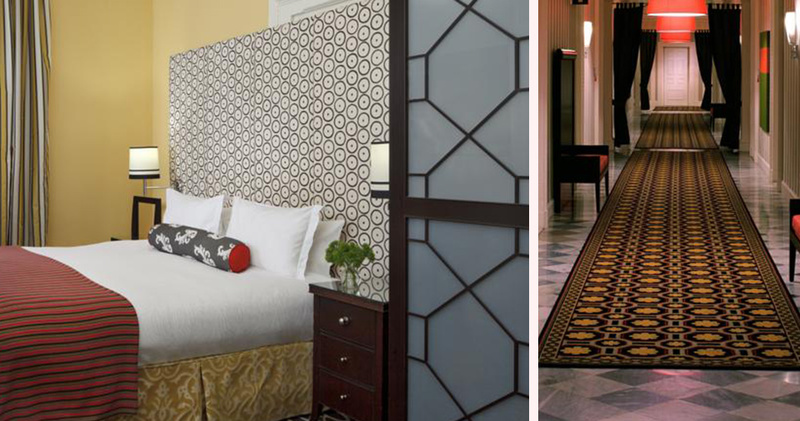 With eclectic flair, designer upholstery and bespoke wallpaper, guests of the Monaco Hotel Washington D.C. are enveloped in a chic and fashionable retreat. 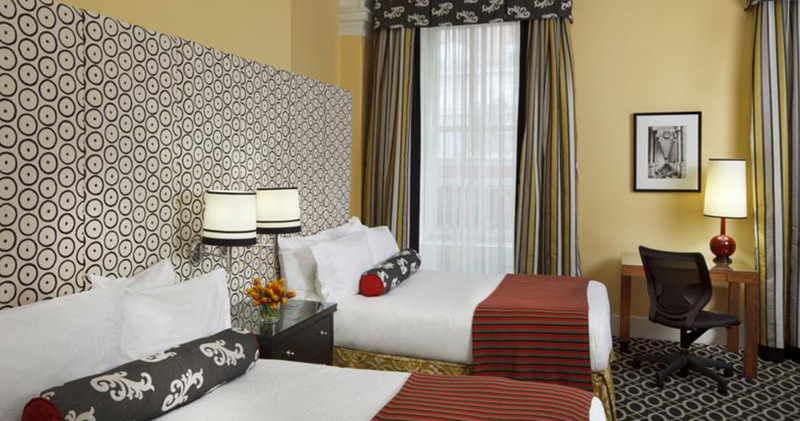 The Monaco Hotel offers a stunning variety of 183 guest rooms and suites. 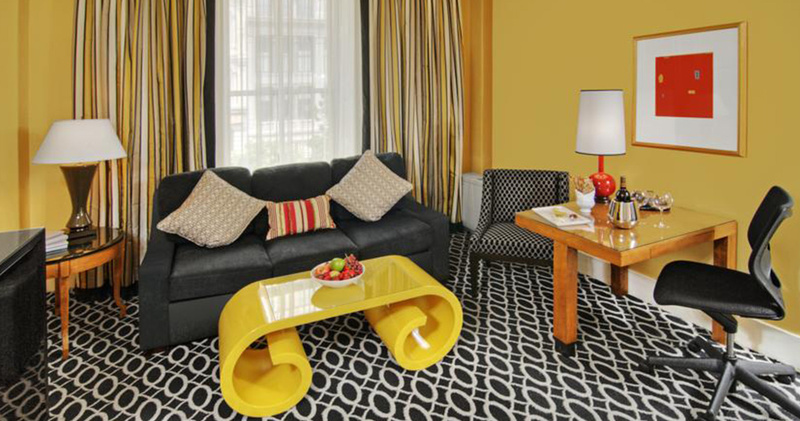 Each stylish accommodation is modern and spacious, featuring bespoke design with revitalizing bursts of color. 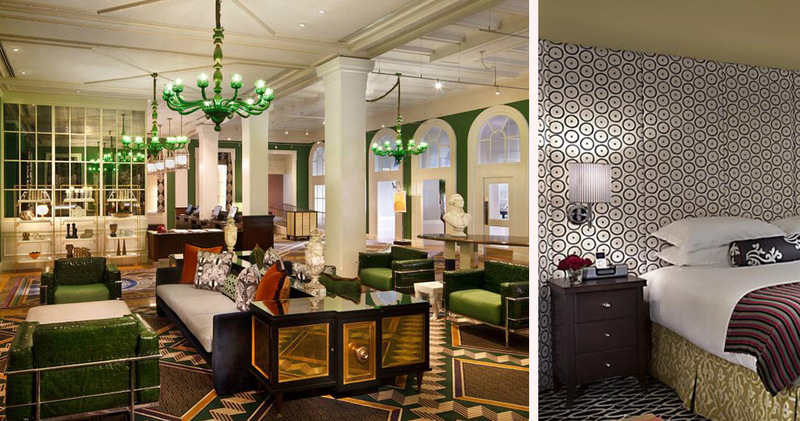 The three different suite styles – Mediterranean, Robert Mills and Majestic – each has a contemporary appeal, with sophisticated décor and sleek furnishings. 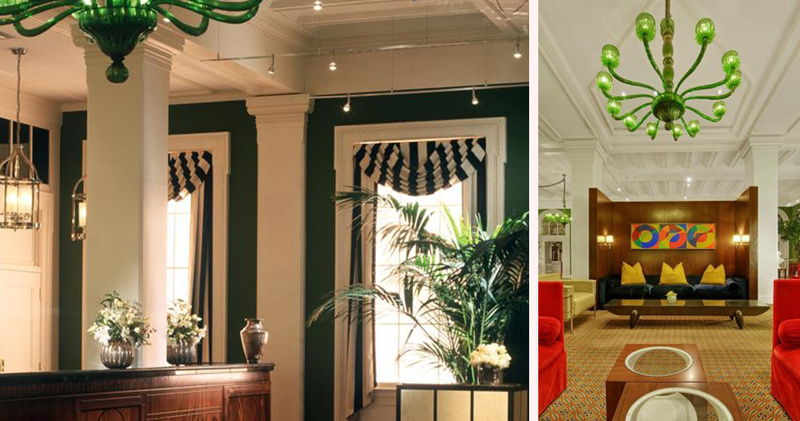 The Monaco Hotel Washington D.C. is home to the Poste Moderne Brasserie Restaurant. The imaginative menu at this restaurant includes Crispy Duck Ravioli, Honey Glazed Eggplant and Greek Lamb Burgers for dinner. 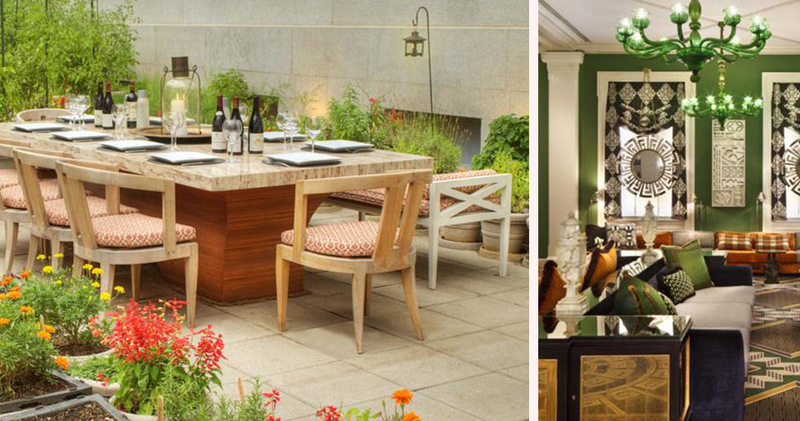 Guests can also enjoy al fresco dining in the lovely Washington DC spring. There is a range of signature cocktails, including the Draper’s Delight and Zona Rosa, which are the perfect accompaniment to an evening soaking up the Brasserie’s lively atmosphere. Desserts are an experience of their own, with the sinful flavors of Sweet Corn Creme Brulee and Goat Cheese Cheesecake being particularly popular.